What Is B Vent Ducting? Ventilation ducting removes smoke and leftover particles from burning fuel. Different vent types are used for different fuels. Some are interchangeable, while others are not. Type-B vent ducting is a common material used routinely for gas appliances. Fuel-burning appliances like water heaters and furnaces need venting. Ventilation ducting removes smoke and leftover particles from burning fuel. Different vent types are used for different fuels. Some are interchangeable, while others are not. Type-B vent ducting is a common material used routinely for gas appliances. Metal venting ducts for appliances that burn fuel vary. Type-L ducts are used with appliances such as oil-burning boilers and furnaces because they are capable of handling temperatures up to 1,000 degrees F.
Type-B ducts are used with propane or gas-burning appliances; the cooler exhaust from such appliances can safely flow through this type of vent, which is rated only for temperatures up to 500 degrees F.
Type-B vents distinguish themselves other ducts because they have a double-layer construction. The exterior of the vent is galvanized steel. An air gap separates the inner layer of steel or aluminum from the outer layer. This air gap helps to cool the inner pipe by passing air around it. It also acts as insulation between the hot flue gases in the pipe and whatever is outside the ventilation duct. Heating a home is where you will most likely see B-vents used with certain types of furnaces and fireplaces. With furnaces, B-vent ducting is used for gas and propane-fueled devices with nonpositive pressure in the vent and relatively lower flue temperatures than oil furnaces. These vents may also be used with traditional or direct vent fireplaces. A traditional gas fireplace has a metal vent running vertically from the fire up through the roof. Direct vent fireplaces use a type BW vent to ventilate the unit horizontally through the wall behind. Not every furnace can use B-vent ducting. Furnaces with positive pressure and those that burn oil cannot use B-venting. Condensing appliances, such as type IV positive-pressure furnaces, cannot use B-venting. The metal of the vent and the water from condensation can eventually lead to problems in the line. Condensing appliances must use specially made PVC vents. If needed, you can use an L-vent for a B-vent appliance, but never use a B-vent as a substitute for an L-vent to prevent damage to the vent from excessive heat in the ducting. Refrigeration & Air Conditioning Technology; William C. Whitman, et al. 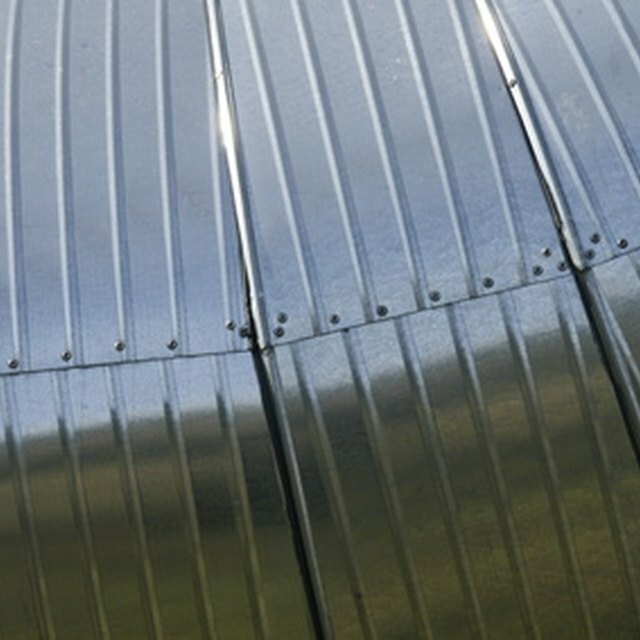 What Should You Use for the Roof of a Greenhouse?